Oxford United agree loans for Chris Maguire and Jordan Evans. 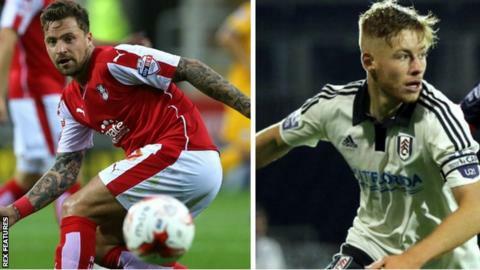 Oxford United have agreed loan moves for Rotherham striker Chris Maguire and Fulham youngster Jordan Evans. Scotland international Maguire, 26, and versatile left-sided midfielder/defender Evans, 20, join the League Two club until 16 January. Maguire joined the Millers in the summer from Sheffield Wednesday. Evans has been with Fulham since 15 and has been a part of their youth and development sides, captaining the club's Under-21 Premier League side. Both players will join the squad for Oxford's League Two trip to Hartlepool on Saturday. Maguire, who previously worked with Us manager Michael Appleton at Portsmouth, has been brought in as cover for striker Ryan Taylor. Taylor looks set to be ruled out for a month with a groin injury sustained against Newport County on Tuesday.